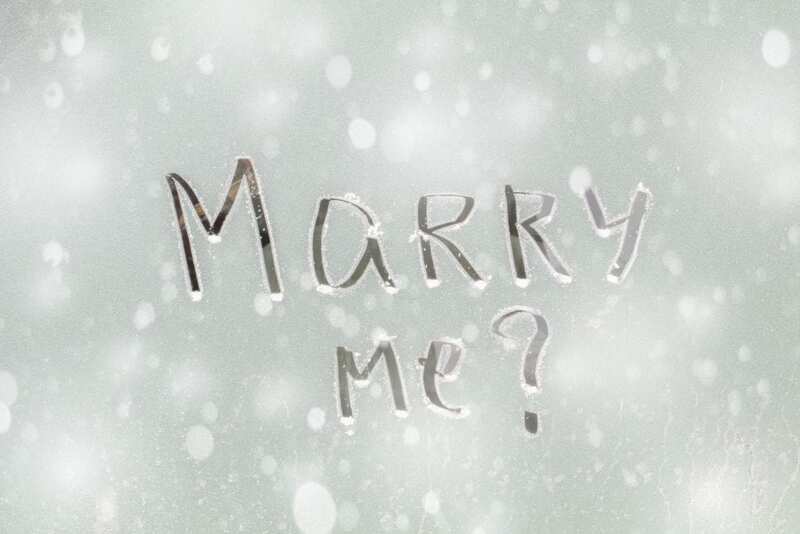 The holiday season makes the perfect backdrop for a proposal – blanketed with fluffy snow, frosty icicles and enchanting twinkle lights. It’s a season that is made to take your breath away. Since the holidays are basically an official season for proposals, the pressure to be creative and special can become overwhelming. How do you create a proposal that is heartfelt during a season of spectacle? Read some of our advice below. It’s true, some people really dislike holiday proposals. It’s a popular time to get engaged, meaning sometimes it might feel forceful or expected instead of genuine and romantic. Think of this: would your spouse-to-be prefer a proposal on an intimate evening alone – maybe on an otherwise average weeknight – rather than a horse-drawn carriage through the snow? Then you may want to skip the holiday fluff. It’s also a good idea to keep your audience in mind. 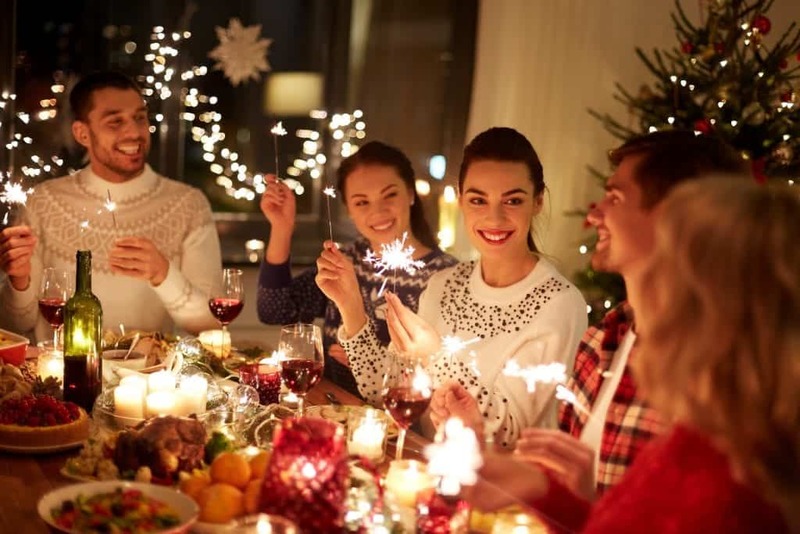 Maybe Christmas Eve, Hanukkah, or New Year’s Eve has a special connection to the two of you, making it the perfect time to propose, but what about visiting family? Or the rest of the guests at the party? If you’re planning to propose at a holiday gathering of family and friends, get a few opinions (choose friends that can keep a secret!) and think about the proposal from other perspectives – especially your potential fiance’s. As the cliche correctly states, the two of you will remember this moment for the rest of your lives. According to every Hallmark holiday movie, falling snow and crackling fires are the apex of romance, but keep your significant other in mind. Popular holiday proposal ideas include a special holiday ornament, a collection of in-the-loop carolers, or an intricately placed elf on a shelf. While these can make memorable, beautiful proposals, some couples enjoy a story that is unique to them instead of pulled off Pinterest. Think about what makes the pair of you unique. Remind your significant other of the good times you have together and more to come. These might be hanging ornaments or lighting holiday candles, but they also might include watching a hockey game, exchanging white elephant gifts, or cooking a hearty winter meal together. A moment is special because someone makes it so, not because others say it was. If involving your families is important, the holiday season is a great time for a proposal. Many families gather during the holidays – sometimes multiple times. If you’re seeking a parent’s permission or looking to have a chat with your loved ones first, the holidays are a perfect time to do it. Especially if visiting them involves a lot of travel. When it comes right down to it, your proposal depends on your fiance and what they would enjoy most. If they would love nothing more than a horse-drawn carriage ride through the snow, bust out the red roses and don’t worry if it seems cheesy. If a perfect proposal for the two of you involves a slipper-clad evening in, that’s fine, too. An engagement should be just like the rest of your relationship – Your kind of perfect. For more ideas, options, and wedding planning advice, visit Earle Brown Heritage Center.